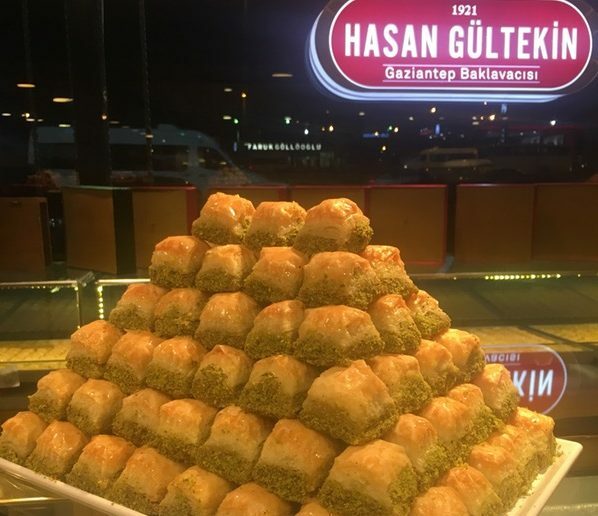 An Istanbul court ruled that the state-run Savings Deposit Insurance Fund (TMSF) takes over the administration of Hasan Gultekin Gaziantep Baklavacisi, an 8-store baklava chain. According to Turkish media, Hasan Güc, the deputy governor of Istanbul’s Kagithane district was appointed as a trustee to run the company hereafter. The decision was made as part of an investigation into the Gulen movement, which the government accuses of masterminding the July 15 coup attempt. Turkish government has already taken over more than 800 companies either by confiscating or seizing them as part of precautionary measures. Among the seized companies are two popular baklava chains of the country: Gulluoglu and Seyidoglu. Owners of such firms are accused of financially supporting the movement. The Istanbul court in charge claimed that Gulluoglu had earlier transferred some of its branches to Hasan Gultekin Gaziantep Baklavacisi in a move to escape bigger losses. Executives from Gulluoglu have been under pre-trial arrest for some time and are not able to admit or deny the claim.